Hexus. 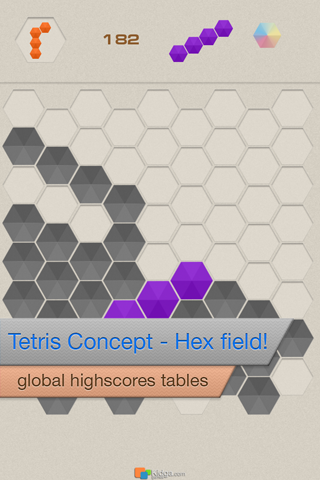 Put the figures on the gameboard and remove rows. Simple?Sure? No! Do you like Quadris? Is it hard? No! Hexus is hard! 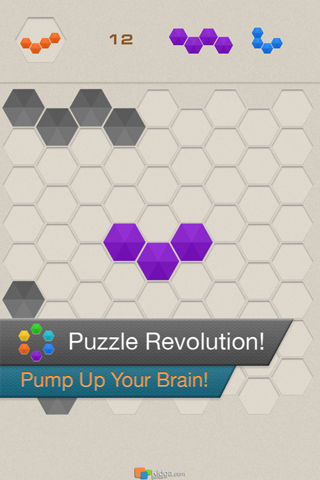 Hexus is extremely hard! 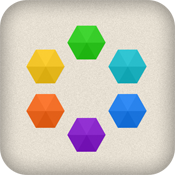 Brick concept on hexagonal field – true challenge to beat the puzzle like puzzlers in the world. 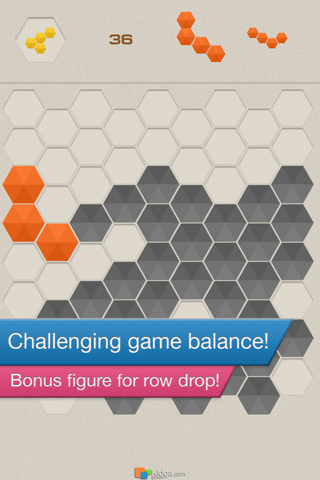 Bonus one-block figure on row drop. Combo score multiplier on successive row drops.